In his decades mentoring Silicon Valley's elite executives, Bill Campbell became the trusted confidant to tech leaders including Apple co-founder Steve Jobs, former executive chairman and CEO of Google Eric Schmidt and Facebook CEO Sheryl Sandberg. Though the CEOs Campbell coached were high-profile, Campbell himself was more of a secret weapon. Schmidt, who met with Campbell "just about every week" for 15 years, says part of his brilliance was his trustworthiness. "It became very clear that I could have conversations with him that I could not have with anyone else, in particular my own hopes and fears," Schmidt tells CNBC Make It. "And so once you have established that level of trust with a coach, then you are working together to solve problems." 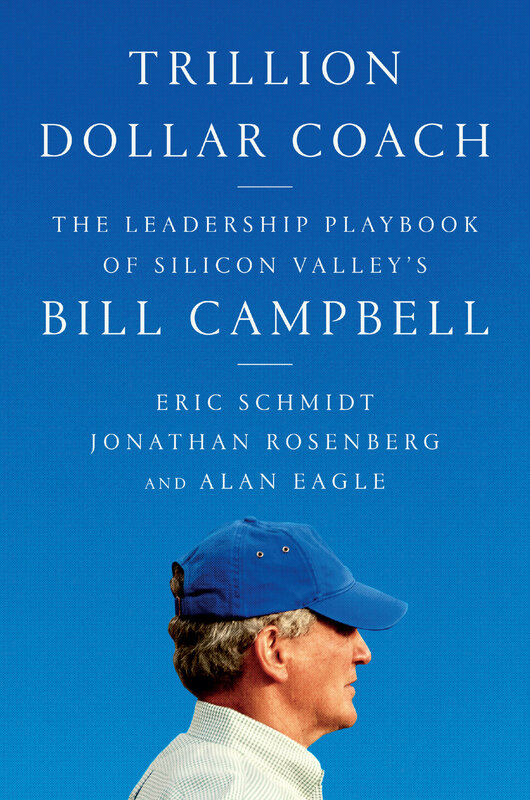 Now Schmidt's book, "Trillion Dollar Coach: The Leadership Playbook of Silicon Valley's Bill Campbell" — written with two other Google executives — reveals the best bits of wisdom from the legendary executive advisor, who passed away at age 75 in 2016. Campbell, who originally started his career as a college football coach, was dubbed the "trillion dollar coach" for the collective value of the companies with which he worked, though that figure might actually be conservative. "I think it should be the $2 trillion coach if you add it all up now," Google billionaire Schmidt tells CNBC Make It. "And all of our interviews indicated that everyone agrees they would not have been nearly as successful without that coaching." Here, co-authors Schmidt (also the former chairman of Google's parent company Alphabet), Jonathan Rosenberg (a former senior vice president at Google and an Alphabet advisor) and Alan Eagle (a communications director at Google) each share with CNBC Make It the single most important piece of advice they learned from working with and studying Campbell. Campbell's goal was always to end up with the best outcome in any situation. "What he and I came to was my job as CEO was not to run a consensus decision but to get to the best decision from all the team members," Schmidt tells CNBC Make It. That means the CEO should give members of the team an opportunity to express their point of view, but ultimately then the CEO has to decide the best option. "So in other words, you would sit there and there would be an argument about an issue or so forth and you didn't try to get everyone to agree to the majority view, you tried to get everyone to ask the question: What is the best choice? What is the best thing? And that's the discipline that we used to run Google," Schmidt tells CNBC Make It. The authors of "Trillion Dollar Coach: The Leadership Playbook of Silicon Valley's Bill Campbell." Jonathan Rosenberg (L), Alan Eagle (Middle), Eric Schmidt (R). Rosenberg, who met with Campbell about every other week, says biggest takeaway from Campbell was: "Everything starts by building an envelope of trust," he says. "And he found a way to do that warmly, with love and through loyalty." He says Campbell was an "an evangelist for courage, pushing us to do better, because we trusted him, we trusted his judgement, and we trusted his integrity." "My main takeaway, main piece of advice, is that it is ok to love people," Eagle, who studied Campbell's ideas, tells CNBC Make It. Campbell "just established a deep level of connection — and again that word love — with people in the workplace.... [That] made me really think about how I care about my team, about how you care about people: You show up, you care for them, you care about them," Eagle said. "You get to know their families, and it has really changed my approach in business is to really — it's okay to love people."